About the company :" The bioME 5 Animal Alphabet Project was created by two architectural designers who are inspired by the visual learning processes inherent in all children. This inspiration combined with a fascination and appreciation of nature's beauty and diversity has developed into products that act as both an exercise in imagination and learning tools. 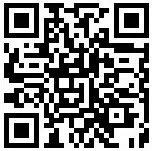 We hope that our products will be seen as thoughtful and inspiring not only through our creative processes but also by the enjoyment and interactions that they may encourage within the user." My little one recently had to the opportunity to try an Organic Cotton shirt from BioM e5. We received the B-Bear Tee. BioMe5 shirts are so soft and seem to be very comfortable on him. It washes up extremely well and is just as soft after numerous washings as it was the day we received it. Besides the Bear a couple of my other favorites are A-Alligator & S-Shark. I really love how the name of the animal on the shirt is printed upside down so your child can read it while wearing the tee. 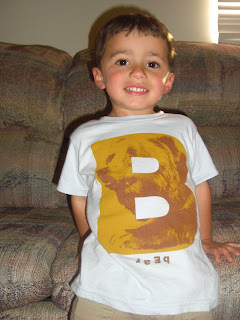 BioMe5 tee's give toddlers the opportunity to work on learning the alphabet and phonetic while wearing an adorable tee. Tee's run very true to size they are available in 2T, 4T, and 6T short sleeve and long sleeve and the onesie is available in 3-6 months and 6-12 months sizes. bioME 5 apparel is made with 100% certified organic cotton and made in sweatshop-free facilities in the USA. They are tagless and preshrunk. All of their "Natural" colored products are undyed and unbleached organic cotton. All of their products that are shipped to their online customers using Green Film biodegradable plastic gift bags. bioME 5 apparel would make a perfect gift for any occasion or stock up on some addorable Tee's for your little one ! These shirts look pretty cool. Shae would look good in one of these. Thank for sharing. these are so cute. and i love that they are organic. I've recently started buying a lot of organic tshirts for my daughter and they're just so soft! This company looks great, I'll have to try them. Thanks for the tip!